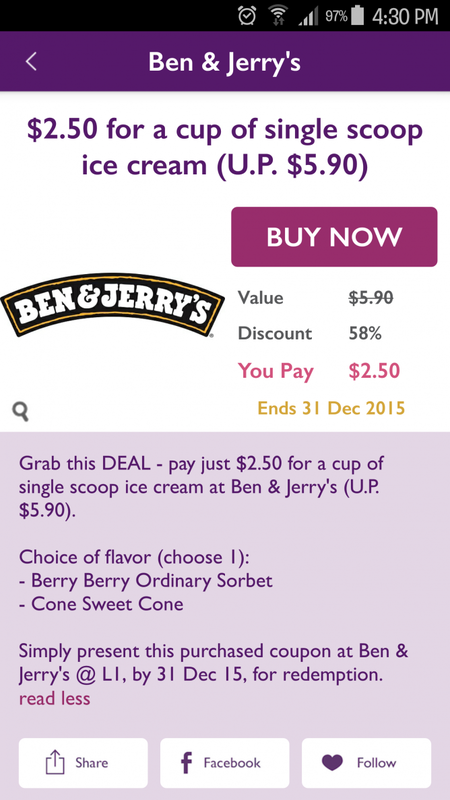 Till 31 Dec 2015 Ben & Jerry’s: $2.50 for a cup of single scoop ice cream (UP $5.90) at [email protected] only! 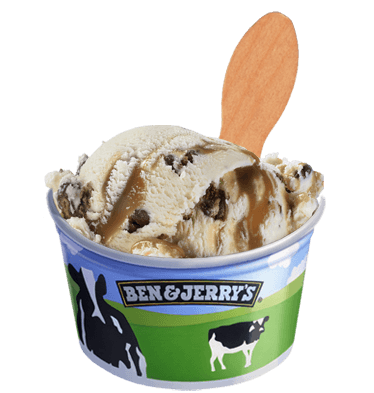 Grab this deal - pay just $2.50 for a cup of single scoop ice cream at [email protected] Ben & Jerry's (UP $5.90) via the 313 Tring app! 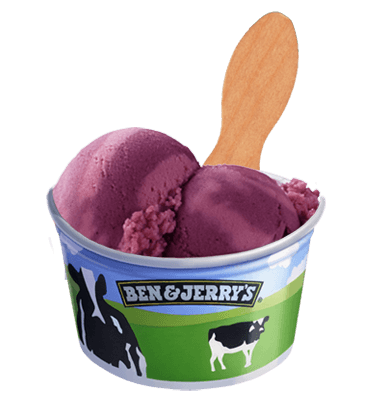 Choose from two flavours: Berry Berry Ordinary Sorbet or Cone Sweet Cone. Valid till 31 December 2015. 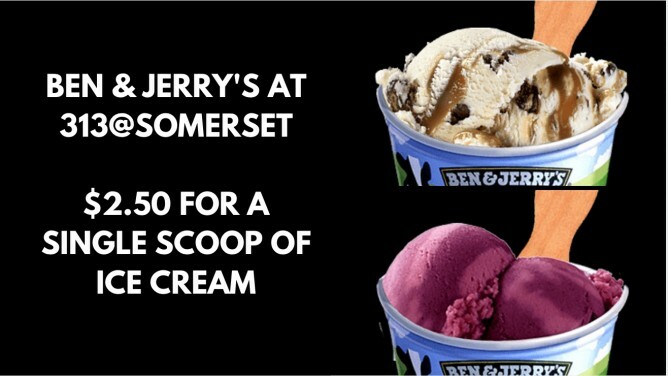 The new Ben & Jerry's Flagship Scoop Shop boasts an expanded menu of 18 euphoric ice cream flavours, new menu additions and merchandise! Simply present this purchased coupon via 313 Tring app at Ben & Jerry's @ L1 by 31 Dec 2015 for redemption. Previous: The Manhattan FISH MARKET: Sizzling Banana Fritters With Ice-cream @$1 With Purchase Of Any Drinks.